The jump from high school to college – academically, athletically and socially – is significant. You wouldn’t know Nikki Albrecht felt any strain in that transition based on her performance on the field last season. The true freshman defender was voted the team’s Rookie of the Year and named to the Big Ten’s All-Freshman Team. Still, like any freshman working into the new routines and expectations of college life, Albrecht occasionally needs some time to herself. 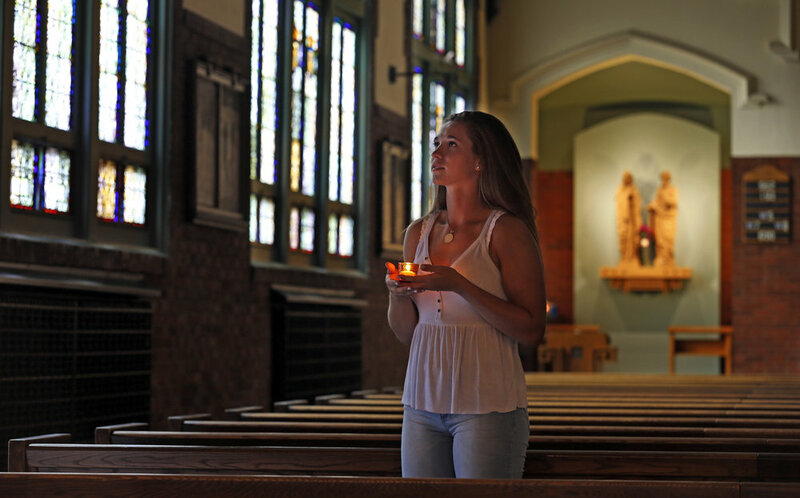 One of her favorite places to reflect is just steps away from the Bierman building, inside the historic St. Lawrence Church and Newman Center.